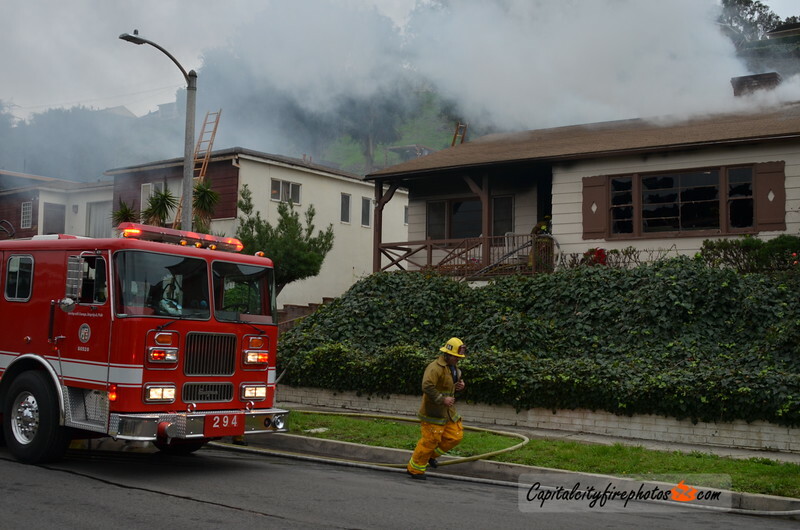 LAFD dispatched at 1248 hours to 5708 Brushton Street in the Baldwin Hills/Crenshaw neighborhood for a structure fire. Engine 294 on location with heavy smoke showing from a one story, dwelling. Fire under control in 28 minutes using 40 firefighters and fire contained to fire building and a vehicle to the rear. No injuries. Companies on location: Engines 294, 43, 68, 292, 58, 295, 215, Trucks 94, 92, 95, 15, BC 18, and CM 22.